Why bother with any other guild? <Goon Squad> is by and large THE best guild on Mal'Ganis, if not all of World of Warcraft. We achieved "World First - Level 25 Guild" and we're over 5000 accounts strong, with many members having multiple level 120 characters. Within the guild we have countless crafters with every available tradeskill and even the rarest recipes. <Goon Squad> has multiple raiding teams and Mythic Plus squads for all levels of content. Aside from all the above benefits, <Goon Squad> also has a massive Discord server, eight tab guild bank fully stocked with flasks, potions, elixirs, enchanting materials, gems, over 32m gold for repairs, and the best Battle for Azeroth raiding consumables freely available for every GOLD level and above member. We also have an extensive DKP system which has been running for fourteen years strong, several hundred mule WoW accounts containg rare and powerful tradable battle pets, and a massively active forums system. First and foremost, you need to select your desired membership level! <Goon Squad>'s most basic membership. Along with a guild invite, BRONZE members get access to <Goon Squad>'s vast pool of crafters, Discord server and rank, and forums. BRONZE members also may do only Mythic 0 dungeons. Along with all the benefits of BRONZE membership, SILVER members are able to raid with <Goon Squad>'s 8.0 patch 30 man raids on Normal Difficulty. SILVER members have their maximum DKP limit set to 500. Old Silver members after 8.0 will retroactively be updated to 500 DKP as well! Upgrading to this membership level also allows members to participate in <Goon Squad> pre-made honor farming battleground groups AND Mythic Plus dungeons up to a +5 Keystone difficulty! <Goon Squad>'s second highest membership level. PLATINUM members of course are awarded the bonuses of all the lesser memberships, but have no DKP limit, a 25% discount on the cost of DKP items, and a guaranteed slot in all raids. PLATINUM members are given exclusive access to experience progression raiding in 20 player Mythic instances and be boosted to at least a 4,000+ Raider.IO score. PLATINUM members are given moderator status on the forums, and the ability to mute lower members in guild chat and Discord. Only PLATINUM members are considered for application to <Elitist Jerks>, an intense <Goon Squad> sister guild which otherwise is closed to new members. DIAMOND membership holders receive all the bonuses of the previous tiers, in addition to a 2% DKP to Gold "Cash Back" reward account. DIAMOND members are also entitled to our collection of "World of Warcraft: Trading Card Game" pet cards, with patrons obtaining valuable in-game collectibles as Blazing Hippogryph, Magic Rooster Egg, and even the X-51 Nether-Rocket X-TREME. NEW to Goon Squad: Battle for Azeroth! Purchasing a bonus TITANFORGED package on top of a DIAMOND will grant you an executive seat in the Board of Directors for Goon Squad LLC, granting you untold wealth and power. Please contact us 24 hours in advance so we may terminate an existing member as seats are EXTREMELY competitive. A guild as large as <Goon Squad> would not be possible without full time guild managers. <Goon Squad> currently employs a guild master, seven raid leaders, and a systems administrator responsible for keeping the forums and Bitcoin farm running smoothly. *Does not automatically include the TITANFORGED bonus. Please contact our sales division for a quote. Basically, if you have to ask, you can't afford it! <Goon Squad> features and extensive referral program, the details of which can be viewed by members of the forums. Simply put, the more people you recruit, the more DKP you earn. You also earn DKP referral bonuses for the members that your referrals refer to us! All of your DKP referral statistics and DKP purchases can be viewed in real time on the <Goon Squad> DKP tracker. Purchased DKP can be used instantly as soon as your funds clear, and generally before bidding begins on an item raiders are given the opportunity to purchase more DKP. Loot rules are very simple, when loot drops, it is requested to be traded to it's highest bidder with DKP. If gear becomes untradable due to personal loot rules, you are automatically charged triple DKP and asked politely to up your gear score before the next raid so the scenario does not happen again. Very simple! <Goon Squad> offers a gear-buying system for non-members. Pricing is based on item level. An additional fee of $1 will be added per raid in which the item you are buying does not drop and becomes non tradable by other members. After purchasing a slot in a raid in which the item drops you will be sent the time and date by which the raid will take place. You will not be taken to the raid until you have paid for the item. If you do not attend the raid a fee of $1 will be added. We do not accept gold as a USD substitute. Loot that Warforge/Titanforges will automatically be advanced to the appropriate tier. Sockets and other bonus tertiaries are INCLUDED! The <Goon Squad> Benefactors Club is a group for people who donate regularly to <Goon Squad>. The Benefactors Club is open to non-<Goon Squad> members. The benefits of the Benefactors Club is exclusive rights to post on the <Goon Squad> forums and they get their own dedicated sub-forum that only they can post in. <Goon Squad> has the right to remove any member of the Benefactors Club without refund. When paying by credit card, both application fee and subscription fee will be charged on your credit card. Please refer to your credit card statement for details regarding the payment of <Goon Squad> fees. The application fee and subscription fee will be withdrawn from your bank account (the deduction date is the 4th of every month). Bank account transfers from certain financial institutions are not possible. If you have further questions, please contact a <Goon Squad> officer. Authorize.net handles bank account transfer for <Goon Squad>, so the name "AUTHORIZE.NET" will appear on your monthly statement. When using PayPal, members must pay all PayPal fees. Disputing a PayPal transaction is grounds for immediate removal from the guild. We do not take Square transactions at this time. 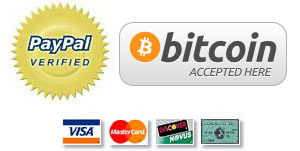 We gladly accept all Bitcoin payments. Other cryptocurrency are accepted on a per currency basis, please contact our sales department for more details. Money orders, checks, and cash (mailed in a birthday card or something else inconspicuous) are all also accepted. For more information, additional payment options, or testimonials, roll/transfer a toon on Mal'Ganis Horde, /who goon, and send anyone a tell! Be sure to include the phrase "TROLLSHOES" for 10% off your next order! <Goon Squad> requires the payment of at least 3 months worth of subscription fees, after the application procedure has been completed and the $25 application fee has been processed. The month that your invoice is processed depends on the date of sign-up. Depending on the date of sign-up, the 1st invoice may be for 2 or more months of subscription fees. If paying by check or money order, DKP and memberships will not be honored until the funds clear. Copyright ©2004-2021, Goon Squad Inc.